Nearly two million Americans are addicted to prescription opioids, a family of drugs that includes the commonly prescribed Vicodin and OxyContin. 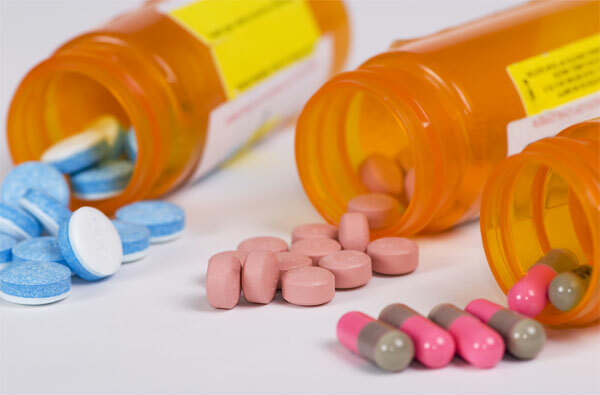 Two recent university studies, including by the University of Michigan, further demonstrate the prevalence of these painkillers among adolescents and their potential for leading to chronic substance abuse. The UM study demonstrated that prescription drug abuse starting in adolescence can lead to long-term abuse. About a third of the opioid-abusing 18-year-olds studied continued misuse into their early- to mid-20s. Twelve percent of those aged 18 to 24 reported non-medical use of opioids. Teens mostly use these drugs to experiment or get high. However, young adults who continually use prescription drugs non-medically often engage in other destructive behaviors. We know that from our own reporting. For months The County Press has been publishing stories related to known and suspected prescription drug and heroin abuse among youth and adults alike in Lapeer County. Our community also has an alarmingly high rate of suicide and persons reportedly with suicidal intent, often associated with the despair people may feel when their lives fall apart due to drug addiction and abuse. This newspaper has been criticized by some residents, police and school officials on occasion that we’re making more of the epidemic than the situation warrants. We disagree. Particularly when other judges, health officials and parents or spouses who have lost a loved one to drug abuse, or else is currently struggling to cope with an addicted individual, have pleaded with us to talk even more about this serious matter in our community. It is not our intention at The County Press to needlessly scare people, but our reporting suggests the epidemic is real. The good news is that Lapeer County is a close-knit community of approximately 89,000 people, a relatively small population that has the ability to come together in a proactive way to shine a light on the problem, and more importantly, to work to discourage further drug abuse. Asking to be included in this important community discussion, Lapeer Community Schools Superintendent Matt Wandrie has graciously offered to host a townhall style meeting to be held from 6:30-8 p.m. Tuesday, Dec. 17 in the LCS Board of Education meeting chambers at the district’s administration building on Second Street in Lapeer (former Irwin Elementary School building). Panel speakers will include Wandrie, Judge Byron Konschuh and Lt. Dave Frisch of the Lapeer Police Dept. Additional panelists have been invited to speak and will be announced when confirmed. The meeting will be moderated by Jeff Hogan, editor of The County Press. The panelists will share their knowledge from their unique perspectives about the degree of drug abuse in our community and how it manifests itself and its impact on local residents, their families and our collective society. Judging by the attendance and interest shared at the Dec. 17 meeting, it is our intention to take the meeting format “on the road” and visit other communities in the county with panelists to represent local personalities and concerns. We invite you to attend the meeting next week, to ask questions and get a better understanding of the breadth of the potentially life-threatening drug abuse epidemic in Lapeer County.